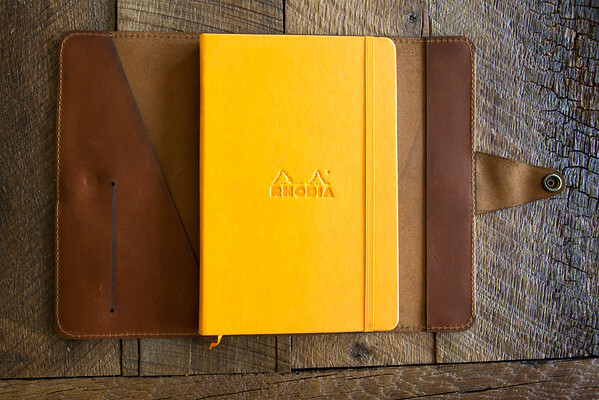 Our Hardcover Journals come equipped with a Rhodia A5 sized Webnotebook ($20 value) in black or orange, as well as blank, dot, or lined pages. The snap-strap can secure your pen. There is a slot within the front cover that is business card-sized. 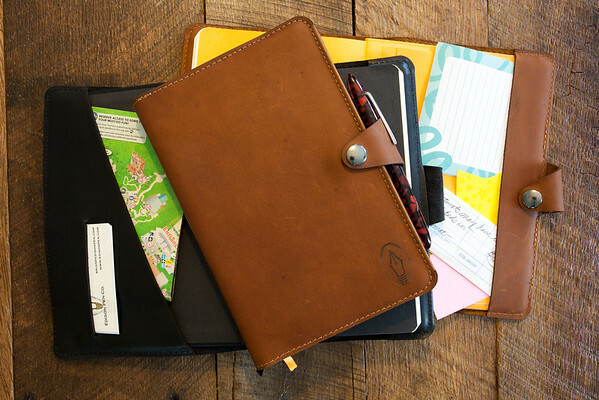 There is also room to tuck notes and documents within the front and back cover. 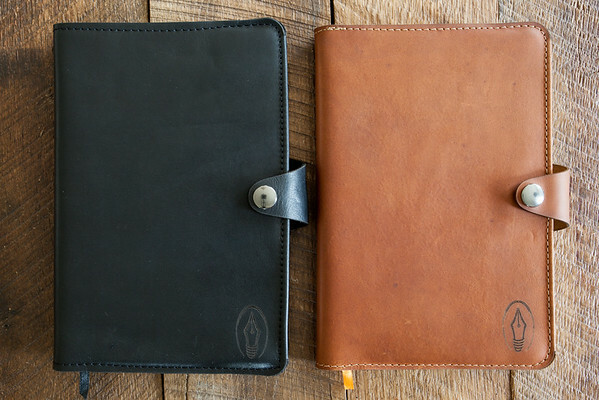 These will also accommodate a Leuchtturm 1917 Medium A5 Notebook. 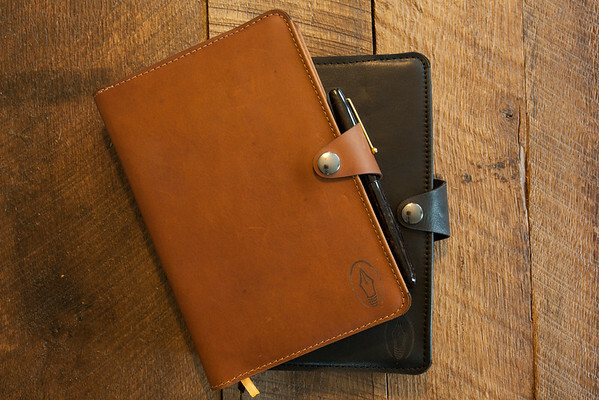 Hardcover Journals measure 6″ (15.2 cm) by 8 3/4″ (22.2 cm) when closed and 12″ (30.5 cm) by 8 3/4″ (22.2 cm) when open.